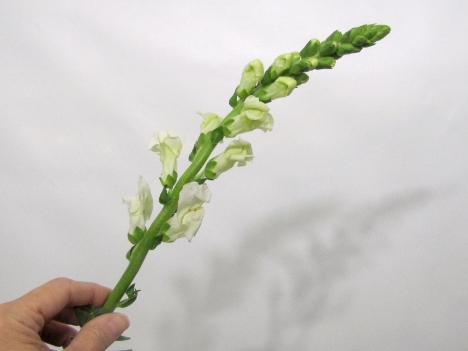 Church wedding flowers need tall and big - such as this first flower, the snapdragon. I'm going to fill in this church floral with all white flowers. You can substitute your own choice for a different look or add in a new color palette. Snapdragons are a linear flower - meaning it has tall lines that draw the eye up and out. 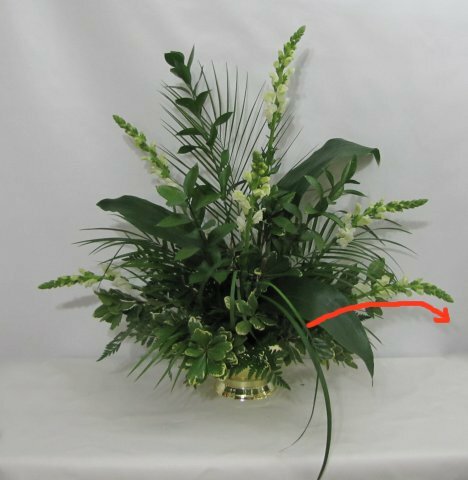 Be sure to process all your flowers correctly to extend the life of your wedding flowers. This means cutting them under water, using Quick Dip and allowing them to draw up water for a good four hours before designing. Dry pack flowers almost have a "wilted" look when you first unpack them. This simply means that they florets haven't opened up to their full glory yet. 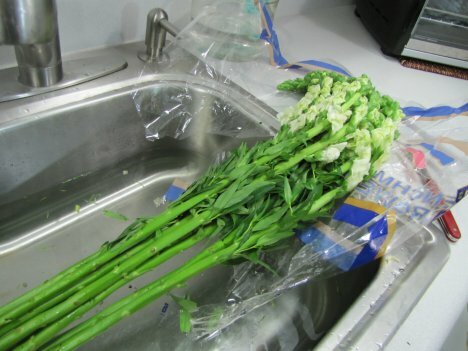 Flowers are packed when tight and still in bud for less damage during transport. This also gives them a longer life after they have drawn up water. 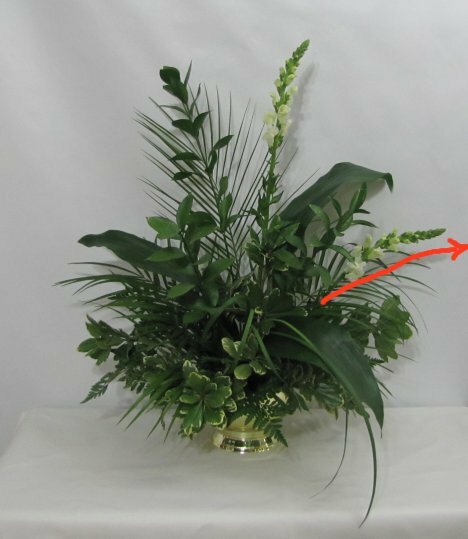 You can use the steps below to mimic the same look for your own florals. 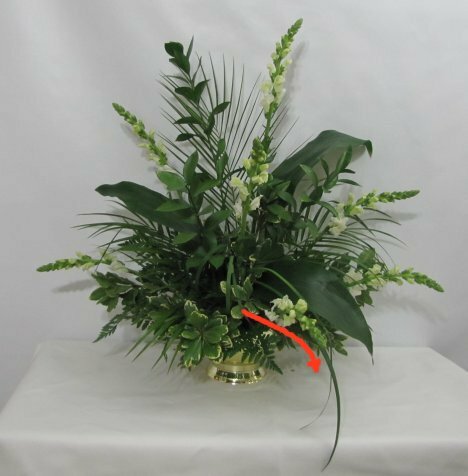 I always use the natural curve of each flower to advantage, incorporating it into the design as shown below. 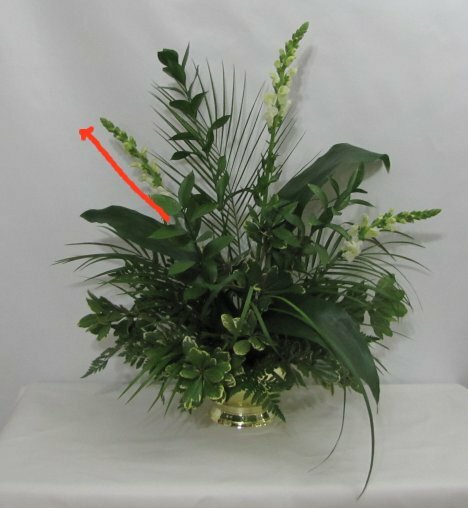 The flower heads typically extend beyond the tip of the largest fern or leaf, framing your design and setting the length and width of your final design. 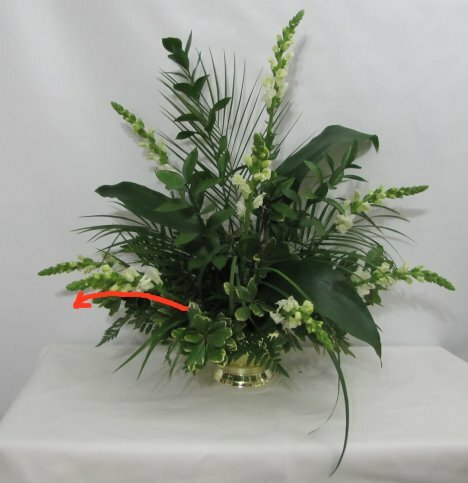 You don't have to be "mirror perfect" in your flower placement, but they should look balanced unless you are going for an asymmetrical design look. I usually place all the flowers of each variety at the same time, such as all the snaps, then all the miniature carnations, then all the roses, etc. This allow for more balance and equal distribution in the design. You can see how the linear flowers are quickly defining the final size of this altar bouquet. 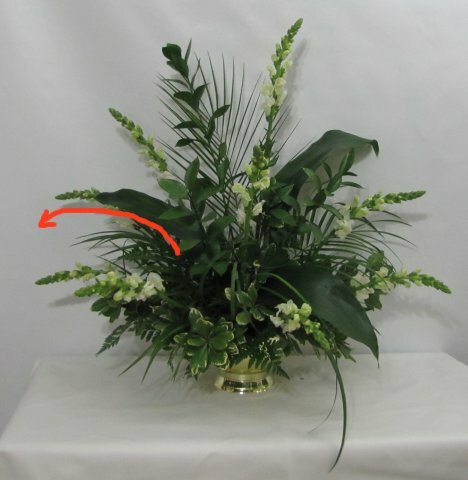 Be bold and place some of the flowers facing directly forward and at a 45 degree angle to the center flowers. 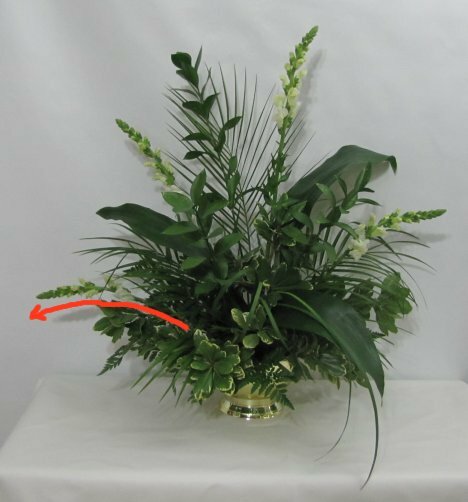 This gives more depth and interest to your florals and avoids a flattened look. I work my way down the flower arrangement, shortening the snaps only a little in the center/front of the design. For the most part, I want to take full advantage of the long stems to create as big of look as I can. Remember, however, that you will have to work out how to safety transport your flowers to the venue once finished. 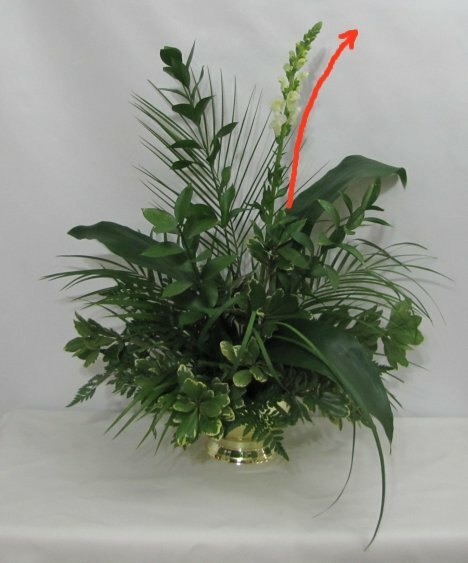 Very large designs may have to have the final stems inserted after you have placed them at the church.